How to Ask a Seller to Pay for Closing Costs? Down payments are made at the commencement of any purchase. 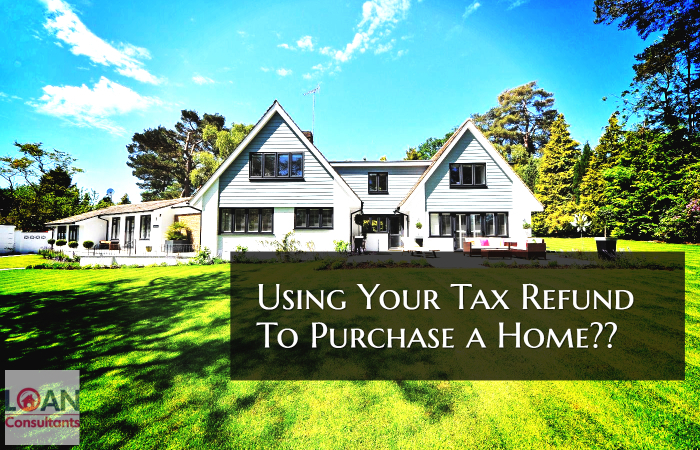 During a tax season many people purchase a house after getting money from IRS. Many people use the tax refund as down payment. The payment usually represents a fraction of the full price that is to be paid at the end of the transaction to acquire complete ownership of the asset. While in most cases down payment is refundable, that is a person can get the advance amount back if the deal is cancelled but in a few cases it is not refundable. Down payment is also commonly given as a guarantee to the seller that the buyer will be able to provide the remaining amount within an agreed period of time in order to purchase the underwritten asset. Mostly homebuyers pay down payments ranging from around five to twenty five percent of the asset’s total value and a bank or any financial institution makes up for the remainder of the price through mortgage financing. One of the biggest roadblocks for potential first time home buyers is the down payment, as not many people have enough funds available that they can present as a down payment. However, during tax seasons these payment woes tend to settle down as people have more excess funds on their hand. Most of the taxpayers are reported to be in a much better financial situation during the tax season than at any other point and this unique offering makes this the best time to think about purchasing a home. That’s why there is many people who spend the tax refund as down payment for their dream house. Many times tax refunds may just end up covering the whole amount of a down payment required to buy a home, while there are numerous programs that don’t even call for any advance payments. But even though this deposit may not be needed, assets are a great way to strengthen the borrower and tax refunds also can be employed as a down payment instantaneously. 1. Use your tax refund for paying off all the closing costs. 2. Clear your debts through which will improve your credit ratings. 3. Store some of the refunds as bank reserve, this helps in improving your chances of approval. 4. Pay off credit card balances for increasing your credit scores and improving your chances for getting better loans. 5. Save up some money for furniture and household appliances. 6. Reserve the reimbursement as an emergency or bailout fund. For someone who wants to apply for a mortgage without having their tax refund in hand can actually do so. The amount you mention in your application would only be considered as a probable amount as long as it is proved that the funds were received before the final bank approval. If you cannot use a tax refund as down payment you might be able to use bitcoins or your 401k money to afford to buy an apartment or a single family unit. It is often observed that many borrowers immediately cash their check as soon as they have received. They used a tax refund as down payment for a car or a house, while there are others who are seen quickly withdrawing money from their accounts. But exchanging tax refunds into cash can cause certain troubles on a purchase; if the cash is deposited at a later time, then it can be difficult to prove it as a source. It is thus advised that the best thing to do is to deposit the refund in your bank account at least while you are waiting for a mortgage professional to guide you from there. It should also be noted that no down payments like VA or USDA are effective choices. Although popularly believed so, these mortgage payments can actually be even lower than loans that need a down payment on a monthly basis. Therefore, anyone expecting a tax refund or having one in hand must consult a professional before either spending or redeeming the amount. As each borrower’s situation is different from another, it is important to pay off all the amounts outstanding to qualify. VA: The mortgage plan mostly doesn’t require any down payment but depends on the purchase price, claim amount and county limit. USDA: It has no down payment requirement making it the most used mortgage option for first time home buyers. FHA: It provides mortgage insurance to those who meet the specified criteria and charge 3.5%. Down Payment Assistance: It is used to balance the down payment and closing costs. Conventional: It is the traditional mortgage provided on deposit of 3% or more. If you liked this article and thinkinng about using your 2018 tax refund as down payment for your dream home than we can help. If you have been denied a home loan or have any questions about real estate or mortgage please contact the author, Matt Herbolich, MBA, JD, LLM by phone or text at 786.390.9499, or by email at mherbolich@usa-mortgage.com. Mr. Herbolich works when you work, so feel free to contact him anytime.